Water is responsible for sustaining all life on earth, it has the power to soothe us. The sounds and sights of running water have always captivated us. While landscaping styles and fads will come and go, water is timeless. 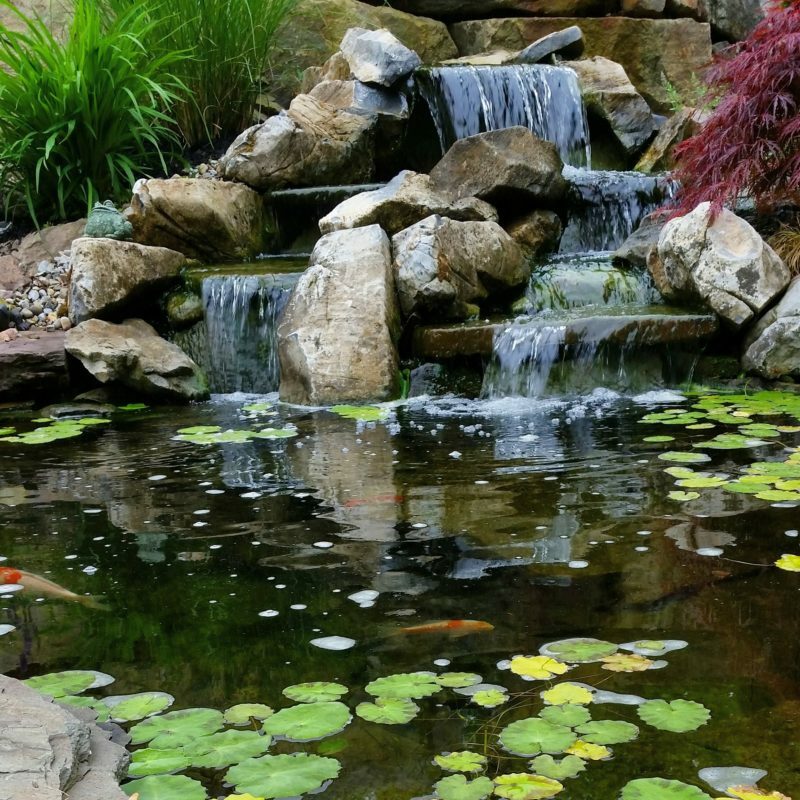 We are Aquatic specialists with years of experience designing and building ponds, waterfalls, and other aquatic features. Creating aquatic ecosystems that are not only scientifically sound, but a true piece of art. Call us today for an estimate on your project.